Just after the First World War Fred Roberts goes for a job as a newspaper journalist and tells the sub-editor how, in the trenches in 1916, he discovered a printing press in working order. 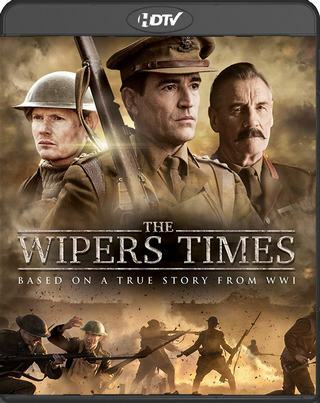 Helped by ex-printer Sergeant Harris and with his friend Jack Pearson as his assistant, he sets up the Wipers Times – the name coming from the soldiers' pronunciation of the town Ypres. Despite disapproval from officious Colonel Howfield but with backing from sympathetic General Mitford they produce twenty-three issues of a satirical magazine – its articles represented on screen in black and white – which boosts morale and even gets mentioned in the Tatler. The press is destroyed by a German shell but another is found and the paper's title changed to fit in with wherever the regiment is deployed. Pearson and Roberts are both awarded gallantry medals but when Roberts is only offered the job of crossword compiler by the sub-editor he moves to Canada as a prospector while Pearson marries and opens a hotel in Argentina. Both survived into the 1960s.